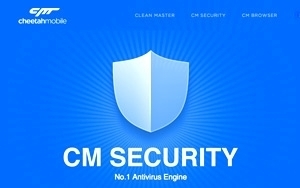 Cheetah Mobile, a China-based software company known for products like Clean Master security and storage optimizer for Android devices, has acquired MobPartner for $58 million in an effort to better serve brands. The move signals an ambitious plan to collectively become one of the leading mobile advertising platforms. MobPartner will become a Cheetah wholly owned subsidiary when the deal closes. CEO Djamel Agaoua will continue to run MobPartner, taking on the role of SVP at Cheetah Mobile. Agaoua said Cheetah Mobile said the deal accelerates the company's growth and expansion plans, such as an international footprint in mobile media. The majority of its clients have global footprints, he said. Cheetah Mobile supports more than 340 million people worldwide who use its apps monthly. MobParter, which runs performance-based advertising and other mobile marketing services, says it supports more than 10,000 publishers, active in 200 countries, and reaches more than 200 million mobile users worldwide, serving about 18 billion impressions monthly. The companies combined strengths will allow it to support other services in the long run, such as data collection from opt-in services from Internet of Things and digital payment services, a hot topic at this year's South By Southwest (SXSW) festival. Today, MobPartners add data to Cheetah's treasure trove of insights on how consumers use mobile phones and improves ad-targeting capabilities on smartphones, tablets and other mobile devices. It also will enable the company to more into ad targeting for other types of Internet-connected devices as hardware gets developed, shipped and deployed by brands and retailers. Investors continue to move aggressively into the mobile market. On Monday, digital marketer glispa said it secured a deal worth $77 million from Market Tech Holdings, which acquired a majority stake in the company that focuses on mCommerce, gaming, utilities and productivity tool to support mobile advertising. The Market Tech group has a market cap of $1.4 billion, per the company. About 190.5 million U.S. consumers will have smartphones this year, per eMarketer. Today, it represents 73.8% of all U.S. mobile phone users and nearly 60% of the U.S. population. Some 43.3% use devices running iOS; 51.7%, Android; 2.8%, Windows; 1.1%, Blackberry, and 1.1%, other. eMarketer estimates 82% of smartphone users browse, research and compare products and services, while 43% use them to make retail purchases. 1 comment about "Cheetah Mobile Acquires MobPartner For $58 Million". Robert Niess from MKT, March 16, 2015 at 12:49 p.m. This is good for both Chettah Mobil and for MobPartner. It is allowing both companies to expand their online database. With the growing number of online advertising platforms today it is very important for companies to have strong brand recognition, with out this strong recognition a company will just get lost among all of the other online advertising platforms. Chettah Mobil and MobPartner had the foresight to partner together in order to grow their consumer base, it was good thinking on their parts to partner up with a different company that would be able to strengthen both of their weaknesses in order to make their brand name and recognition even stronger. By partnering together the companies will now be able to expand their services to other ideas that they may have such as data collection for companies that will help with their advertising. Overall I think that these two companies will be able to go far by partnering together.